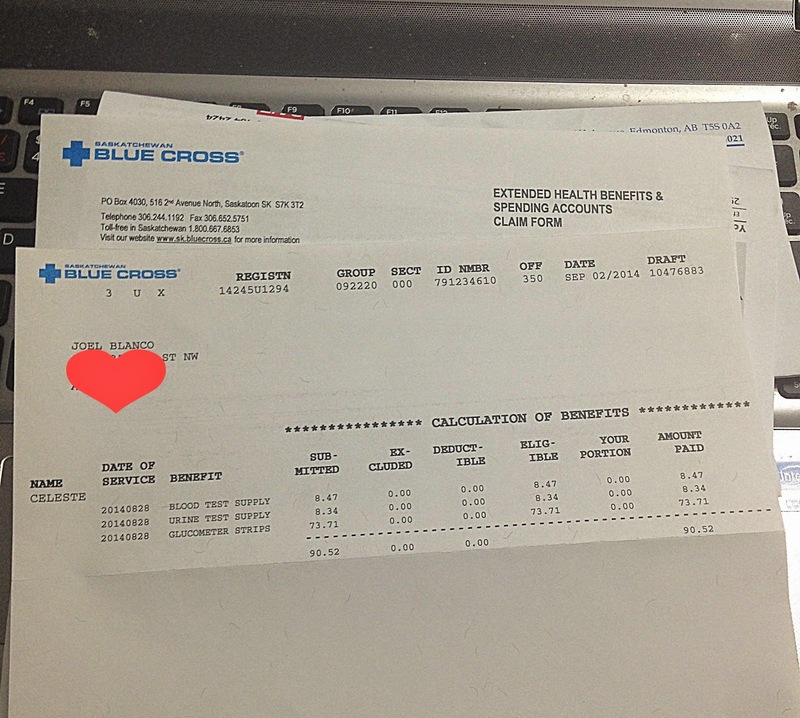 Mrs.CB in BC: Thank you, Saskatchewan Blue Cross! I had my first check-up with a diabetes specialist Dr. Lawrence Lim last August 28, 2014 at the Misericordia Hospital Diabetes Center. I was happy because "my numbers" (i.e. blood sugar test results) were all within the normal range. Sino ba naman ang gustong mag-insulin? Dr. Lim instructed me to keep on testing my blood glucose level at least twice a week (six times a day). He issued me a prescription for my supplies. They already gave me a free glucometer when I took the diabetes session the week before. Nakakatuwa kasi sa Pilipinas kailangan mo pang bilhin iyon. Dito libre lang pala. There are so many pharmacies here in Edmonton but we ended up buying the supplies in Walmart Pharmacy. Nandoon na rin naman kasi kami. When you buy prescription medicines here, they will ask you first if you have an extended insurance. Luckily, we do! My husband's company gives good employee benefits so we are thankful. Though health care is free, an extended health insurance is necessary for medicines, dental, etc. which are not covered by Alberta Health. My name (as a dependent) is at the back lol! We were confident that we could get my supplies for free (or at least we'll just pay 20% of the total cost). But then the pharmacy assistant informed us that we have to pay in full because our insurance does not cover it. Ha? How come? We've checked Blue Cross Saskatchewan's website and it states there that diabetes supplies are covered. I also remembered that majority of my classmates in the diabetes class have extended health insurance that covers these supplies. Bakit kami hindi? The pharmacy assistant told me that it has something to do with my "non-insulin use" which I didn't understand. We had no choice but to pay $90+. I was so disheartened. Unexpected expense eh. My husband told me not to worry. "It's just $90," he said. But he couldn't pacify me. One of the reasons why I like it here in Canada is their health care. We are not supposed to pay $90! My husband is paying so much tax and insurance fees already. $90 is still $90. That could buy a lot of things na for our Baby Chicklet noh. In my mind, naisip ko na na kailangan kong magtipid sa paggamit ng test strips. Grrr. When we got home, Ford immediately checked on Blue Cross' website and later filed an online claim. He'll know the results daw in five business days. August 29 noon (Friday). Yesterday noon while having lunch, I asked Pod kung ano na ang balita sa 'claims' namin. Sabi ko lagpas na sa five business days, dapat my sagot na sila by that day kasi five days na (holiday ang September 1). Wala pa raw. But then that night, pagdating na pagdating niya sa bahay, he was excitedly shouting: "Sige Bimbim magtusok ka na ng magtusok!" He received the refund check na pala for the $90! Now I am at peace haha! 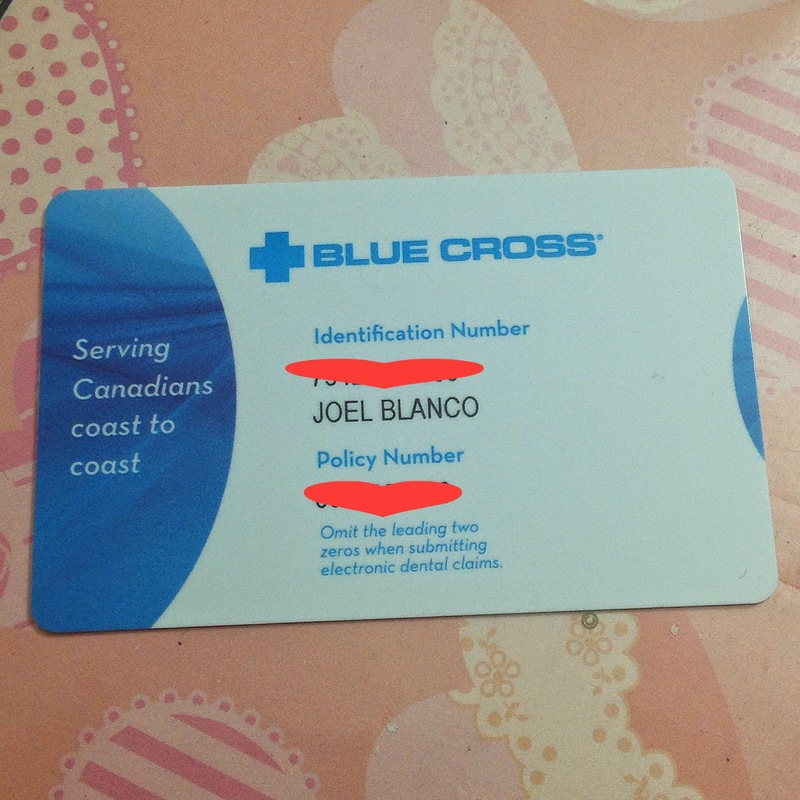 Bumalik na ang trust and confidence ko sa magandang health care system dito sa Canada! And I am impressed with the very fast and non-hassle mode of claiming from insurance companies. Kung nasa Pinas ito, aabutin ka ng santo-santo. NOTE: Next time sa ibang pharmacy na lang kami bibili, Medyo parang kulang sa knowledge and malituhin yung taga-Walmart eh.